We had a really fun day on Sunday--we went over to Springfield, Illinois to enjoy the Ansar Shrine Circus at the Praire Capital Convention Center. We just had a blast. Katie is four, and can hardly wait to go again. She got to see elephants and monkeys, loved watching the jugglers and bike riders--and much like when I was a kid, she had her eyes covered for most of the high-wire act. 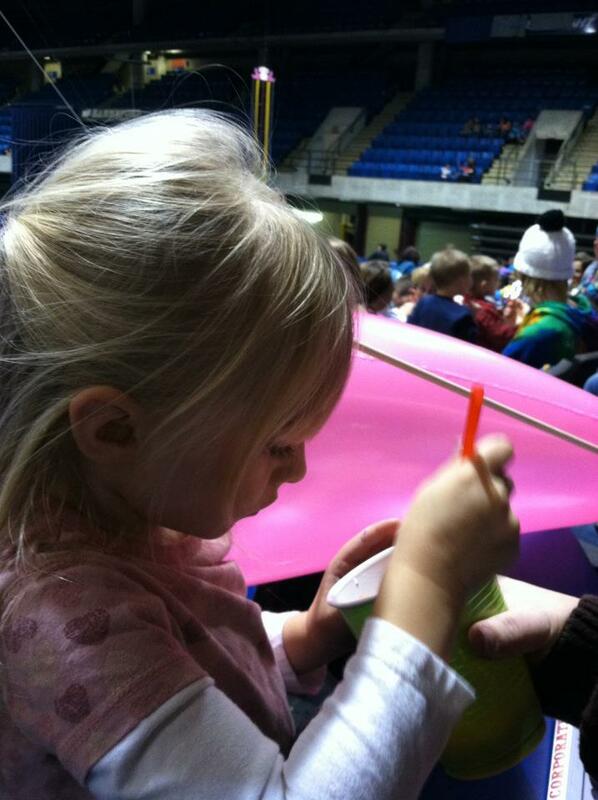 She also had a chance to try and few new things--like a snowcone and cotton candy. It was well worth the trip over to Springfield, and the Ansar Shrine Circus doesn't only provide wholesome family entertainments (and that's not something you find much anymore) but it supports a terrific cause--The Shriners Hospitals for Children. I couldn't believe how many fez's I saw--how many Shriners volunteered their weekend to help direct patrons to their seats, sell programs, and work the concession areas. 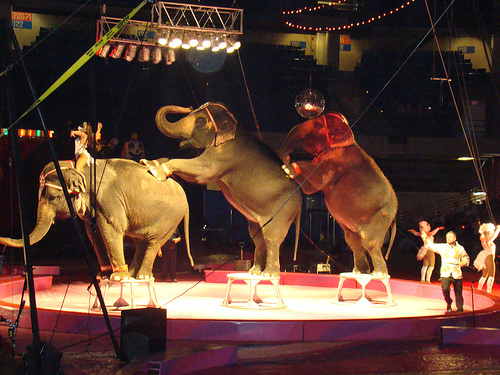 So next time you see the Shriners Circus in town--go! Have a great time with your family, and know that not only have you had a great day, but you've supported a worthy cause. A Brother told me about your blog and so I took a look. I linked to it from my blog and subscribed to it through Reader. I just want to make one comment about this post. I used to be a Shriner and I applaud the work they do through the Children's hospital. However the Shriner's Circus is something I cannot support. The elephants are a very special animal and should not be treated the way they are in a circus or a zoo. If you want more information about them you should google The Elephant Sanctuary and go there and read about this very special place in Tennessee which takes the abused elephants and gives them a chance to live out the rest of their lives in dignity. I now give the money I would have spent on Circus tickets (which many times does not go to the hospitals) and donate to the Elephant Sanctuary. You have a great blog and I shall enjoy reading it. Bro. Simser, I'm glad you are enjoying the blog. I know a growing number of people are beginning to feel that way about zoos and circuses, and I appreciate you sharing your view and offering an alternative. I checked out the sanctuary--it's at www.elephants.com if anybody else out there would like to check that out. Thanks again for offering a different perspective. Actually, now that's I've read a little more about the Elephant Sanctuary, I think I'll put up a link for a while too. Thanks again.